Wish you could get more stuff fixed in NYC? Repairing is so important, it deserves to be the 4th R.
But how to find repair shops in New York? A product with a lifetime warranty? Good News: We have more repair options than you think. Read on to learn more, as well as pick up some tips for the other 3 Rs: Reduce, Reuse and Recycle. 1. Order coffee ‘to stay’. Patronize take-out restaurants that offer washables — and reduce all that plastic and aluminum container waste. 2. Carry reusables like coffee mugs, water bottles, lunch bags, utensils, and shopping bags. Get a 0 x 30 shopping bag for free at a DSNY bag giveaway. 3. Take a second look at secondhand — oftentimes it’s better than new! Find local NYC thrift and vintage shops at DonateNYC. Buy refurbished electronics at the Lower East Side Ecology Center’s E-waste Warehouse in Gowanus, Brooklyn. 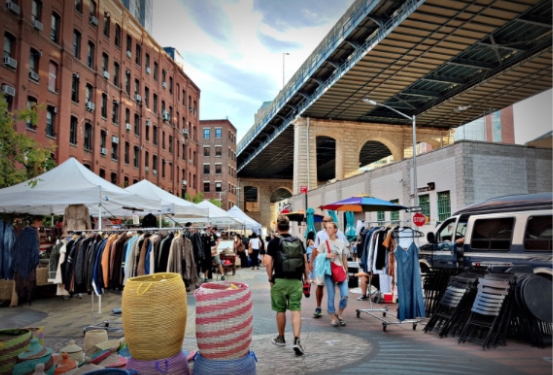 Find treasures at flea markets located all over NYC. 4. Find out if your building is eligible for in-building collection of clothing and textiles, electronics and organics (food scraps, yard waste, food-soiled paper). If not, drop off clothing and organics at local greenmarkets. Drop off electronics at various collection sites around NYC or return them to manufacturers. 5. Learn how to recycle cell phones, home improvement waste, appliances, and ink and toner cartridges in NYC. Learn which plastics CAN’T go into the recycle bin. Bring plastic bags and other film waste back to retailers. 6. Get broken lamps, electronics, furniture, bikes and more stuff fixed at PopUp Repair and Fixers Collective events in Manhattan and Brooklyn. 7. 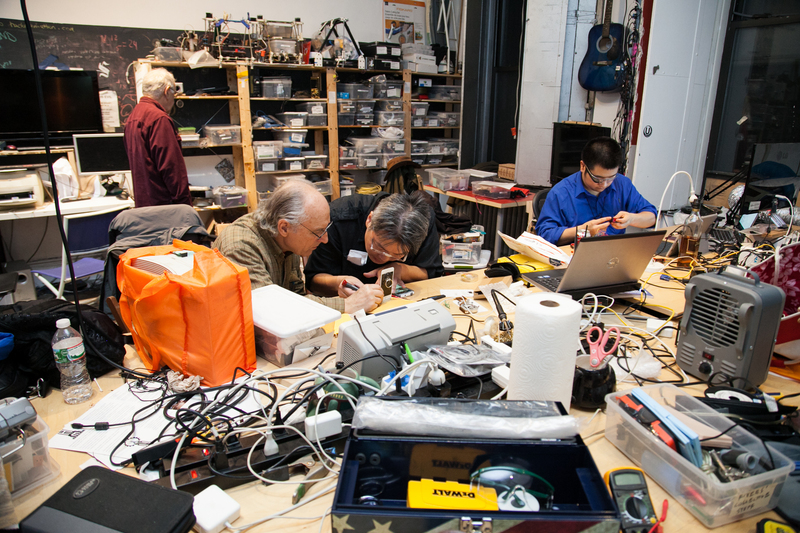 Host your own NYC repair cafe in your school, senior center, temple or church. Want more? Click the icon below for all 60 tips! Repairing and recycling products into circulation allows items and materials to be “Upcycled” so that its lifespan grows and the final product does not end up in landfills when it can be effectively reused. Upcycling is an important part of the “reduce reuse recycle” motto and should be talked about more by product manufacturers and supply chain analysts. Nice! Thanks for the useful links. I wonder if NYC can work on a tax break for repairs? There was an article from the Guardian not too long ago (https://www.theguardian.com/world/2016/sep/19/waste-not-want-not-sweden-tax-breaks-repairs) and if any city can consider this option, it would be NYC. It would definitely encourage people to think twice before throwing things away so quickly. Great article. I believe that repairing products to increase the longevity of a good is not only an effective way of reducing waste, but also a different method of recycling that is advantageous for both parties involved. The individual who is getting their product repaired is able to continue to use their product, while the individual doing the repair job is able to make some money for it. Both parties help each other out, while also doing right by the environment by repairing, essentially recycling a broken product, cutting down on waste levels. A very informative article, indeed! What really caught my attention was point #5. It provides hyperlinks that lists which appliances should be recycled or not. 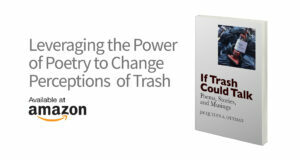 It is not new that many people have difficulty whether a certain item should be recycled. One idea is to connect point #5 and point #2. Creating a design that shows what items should be recycled and what shouldn’t on an eco-bag. However, there’s also the problem of funding. Perhaps a collaboration with companies can be an idea! Getting stuff actually repaired is so important, yet it can be so daunting. I’m truly not tech savvy, so whenever I see that an electronic of mine isn’t working properly, I immediately get frustrated beyond belief. Electronics nowadays are so critical to our daily routines, that my desire to simply give up and buy a new one kicks in almost instinctively. The amount of energy and materials used in the production of a brand new computer or phone or whatever is causing me an issue is not worth it! I can provide a local freelance worker with work, as well as save myself a ridiculous amount of money buying a whole new computer. 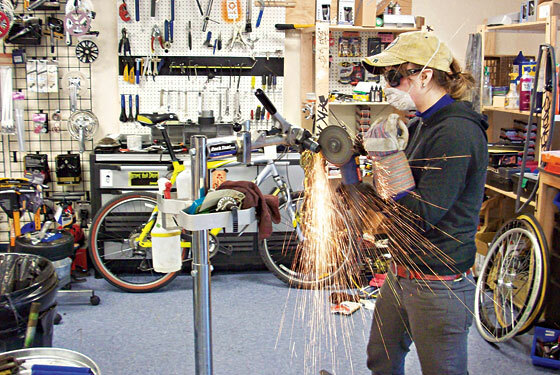 Hosting “Repair Cafes” can also serve as a great way to make connections! It can be a great way to gain exposure for a Side Hustle and begin to get referrals if you have a skill repairing products. ( If one doesn’t already exists..) Thinking there should be a public Facebook group for NYC, or different boroughs, made up of repairers and those looking for someone to repair. My college town, Burlington, VT had a “black market page”, where people used it for buying and selling used furniture, bikes, cars, clothes, hand made goods. My hometown of Montclair uses one for similar inquiries. Facebook is a quicker and more intimate way to connect with others for these niche jobs and endeavors. The events are cool but not everyones schedule can fit into one day for repairing something.